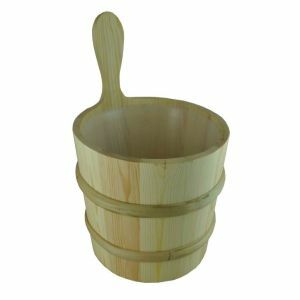 Handmade Pine Sauna Bucket Authentic White Pine Wooden Sauna Bucket. Check out the attention to detail! 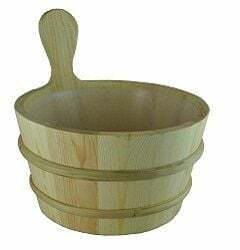 This hand crafted white pine wooden sauna bucket is manufactured by Northern Lights Cedar Products, a world leader in cedar products for the outdoor lifestyles. Included is a plastic insert liner that keeps the bucket from leaking and provides added hygiene when bathing in a sauna! The wood bucket enhances the decor of any sauna!